Writing a book is certainly difficult. And a whole host of factors, including distractions, disorganized files, and an inadequate word processor, can all add to the challenge. Such is the life of authors. Creating your book involves much more than simply jotting down words on a page. It takes a combination of skill, creative flair, and dedication to write successfully. Undoubtedly, you will encounter days on which writing is a struggle. However, don’t despair. Even when you face the biggest barriers, there are some helpful tools out there that really can make it easier for you to focus on writing. Although they can’t do the writing for you, they will make the process and formatting a lot more straightforward. Distraction-free writing Procrastination: It affects us all! Whether we’re experiencing problems with Microsoft Word or another word processor or we’re getting distracted by the continual urge to check our social media accounts, we’ve all fallen into that unproductive hole. By using writing software, however, your book writing becomes distraction-free. 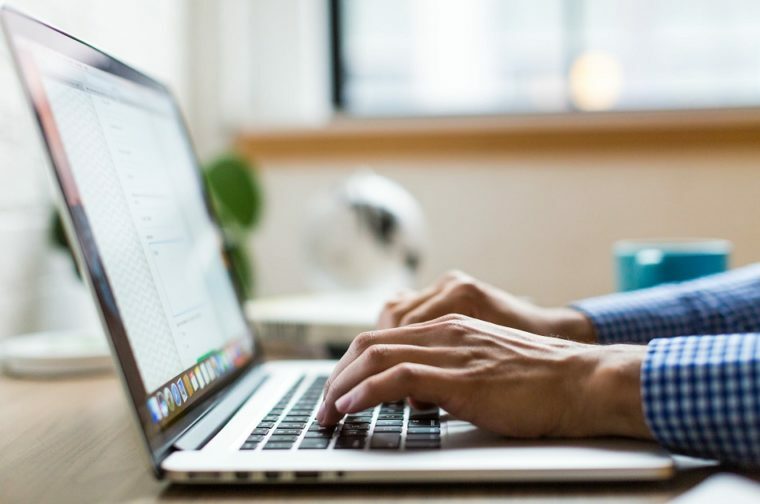 Either by providing you with a blank slate of paper to avoid unwanted options or blocking access to certain websites, the software programs offer great features that will make you more productive. Be organized (and stay that way! )– When you set out to start writing, it can be a pretty daunting task to keep track of everything. Writing software allows you to become more efficient by keeping everything in check. Writing software packages can organize the notes related to your characters, schedule a time when you should be working, or keep some snippets of dialogues and prose, etc. ready for when you need them. Maintain a structure- When you’ve got a web of plots in your story, it’s easy to get lost. Using writing software allows you to stick close to your structured piece while still giving you the creative freedom to create great ideas. Review, proofread, and edit easily—Although your real-life editor will check your manuscript before it gets published, it pays to polish your work before you send it in. Using writing software that’s specifically designed to check your grammar, spelling, and choice of words will surely be a big help. Your writing process just gets easier. Top Writing Software Authors Should Try! As writers, we often set goals for ourselves in terms of the number of words we would like to write a day. It’s a fact that the slower you type, the less you will be able to write in the same amount of time. Use our Typing Speed Test to see how you fare with your typing speed. Knowing how many words you can type in a minute can help you estimate the number of words you can write in a day. A writer’s skills may not always be about letters and the thoughts behind it. Sometimes, we might need to know a little bit of math to calculate the time it will take to achieve our goals. If you’re the type of writer who wants nothing on their screen but a pure blank slate, FocusWriter might be the app for you. It hides the other apps on your screen so you won’t be tempted to check them every paragraph or so. Additionally, you can also track your progress and customize the way the text appears on the screen. And the best thing of all? It’s free! 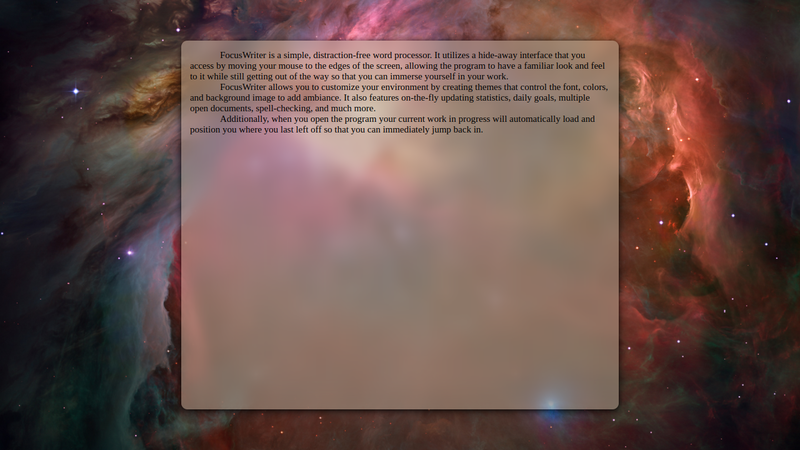 FocusWriter is available for Windows, Mac OS X, and Linux. The app has also been translated into many different languages; as such, it is great if you’re writing in multiple languages. 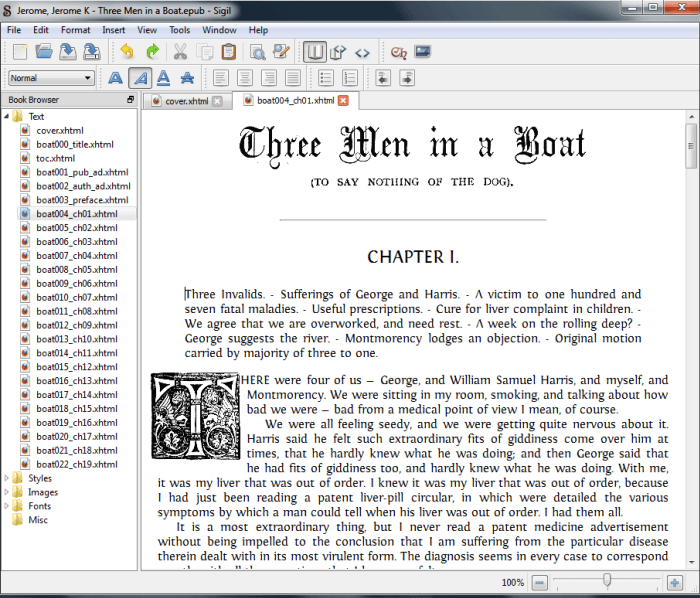 Scrivener is arguably one of the best writing software packages out there. For all avenues of writing, it remains one of the authors’ best-loved tools. Although it has all the other bells and whistles that are available as extra features, it still has the ease-of-use most authors look for. However, the main selling point of Scriver is the way in which it keeps all your materials organized in one place. The web pages you’ve gathered from your research, the images you need, data, and your notes are displayed alongside each other. It also has a multitude of options available that you can use to customize your digital workspace—especially if you’d like to have multiple programs open. The biggest roadblock we encounter whenever we write is the continual distraction, especially from those websites we frequently visit. Whenever we mindlessly escape our current writing task to just “check” something on the Internet, we actually end up spending hours on there, having accomplished nothing. 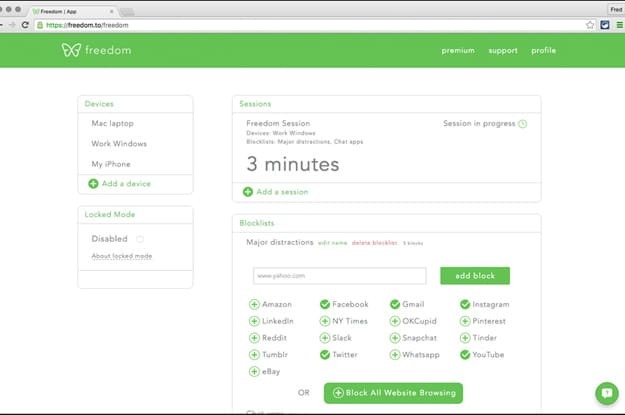 Freedom, the writing software designed to block out your biggest distractions online, makes sure you remain focused on your writing. Whenever you try to access a website that is on your blocklist, it won’t load—and it also syncs with your phone! There’s also a recurring session, so you can set a timeline for when you should be working. 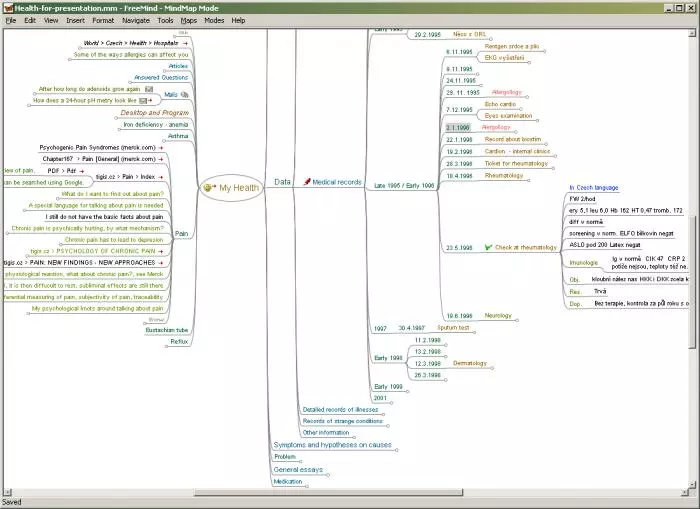 Freemind is the perfect writing software if you want to simultaneously beat writer’s block and organize your ideas. Writing isn’t just about the words on your screen; it’s also about mapping and outlining your ideas and laying them out perfectly. Let your imagination run wild and allow Freemind to organize your ideas for you. Whether you’re plotting your next fiction cliffhanger or a thread of the character’s development, everything can be recorded on one tidy space. 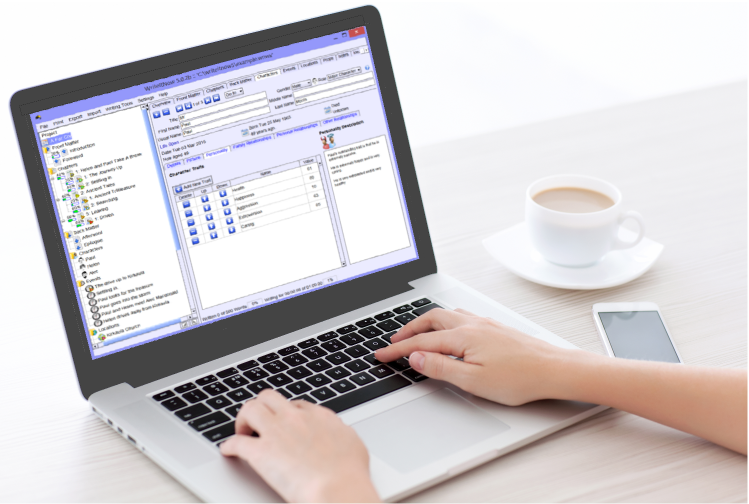 The ease-of-use of writing software is an essential feature that most writers are looking for. However, notwithstanding its convenience, it must also hold water in terms of the other features. 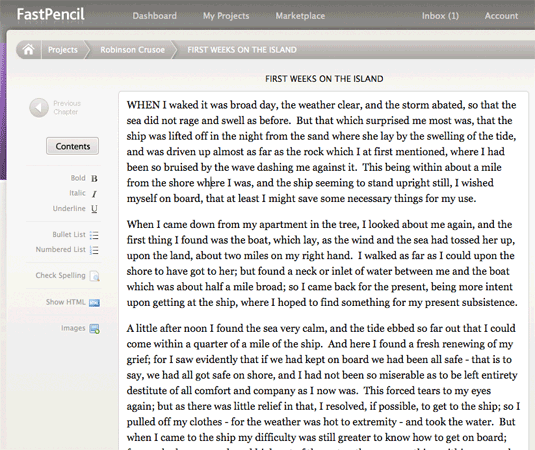 WriteItNow combines those two: Added features and an easy-to-use plain text interface. Like the majority of the writing programs that are available on the market, they have the standard organizational feature that keeps track of your work. WriteItNow also offers something that sets it apart from its competitors: A very detailed character builder. You can set your character’s attributes, traits, behaviors, and even keep track of the events in the story that they’re involved in. Those who are attracted to the digital landscape of publishing may be focused on e-books. However, publishing an e-book brings with it a unique set of challenges. There are a bunch of writing software packages out there that offer a myriad of tools for writers; however, very few cater specifically to e-book writers. Sigil is currently the strongest option for beginners and advanced e-book writers alike. Sigil allows its users to format and code their own e-books. Users can also import HTML template files, images, and graphs to their book, and then let Sigil clean up any errors. While this is its main selling point, it’s not exactly for every writer out there since it doesn’t offer many features that support the actual ‘writing’ part of the task. Fast Pencil’s Book Writer is a unique writing software that has a different take on the whole “helping you out” thing—it also has the author’s marketing strategy in mind. It automatically posts to your social media accounts whenever you start or finish your project. This helps to seed your book and build anticipation amongst your fan base before publication. Aside from that, the program is great for when you’re working in a collaborative manner, either with your co-author or editor. It’s no surprise that Ommwriter is a favorite among the authors who utilize the other writing software tools that are available. Although it’s not on a par with the others in terms of organization and character-building features, it does offer its own unique take—it has music! Well, not just any kind of music, but tunes that will actually motivate you to keep writing. Together with its simple interface, the platform can also set a background of calming music or the sound of a keyboard tapping. This software is great if you’re experiencing writer’s block as it has been proven that those moderate levels of noise can actually get your brain back into gear. This is a video review and recommendation by Sharp Angles about Best free software to help you write a Doc, Story, Novel or Screenplay. This DIY video gives a demo of some extremely user-friendly yet simple and distraction-free text editor. Such as with authors’ life, writing becomes easier when you find the right tools to assist you. The tools we have listed above are just a few of the options that are available. And we’re sure that, for whatever help you need, there will be something out there for you. Do you use any other writing software or tool that gives you a productivity boost? Share it with us in the comments below!